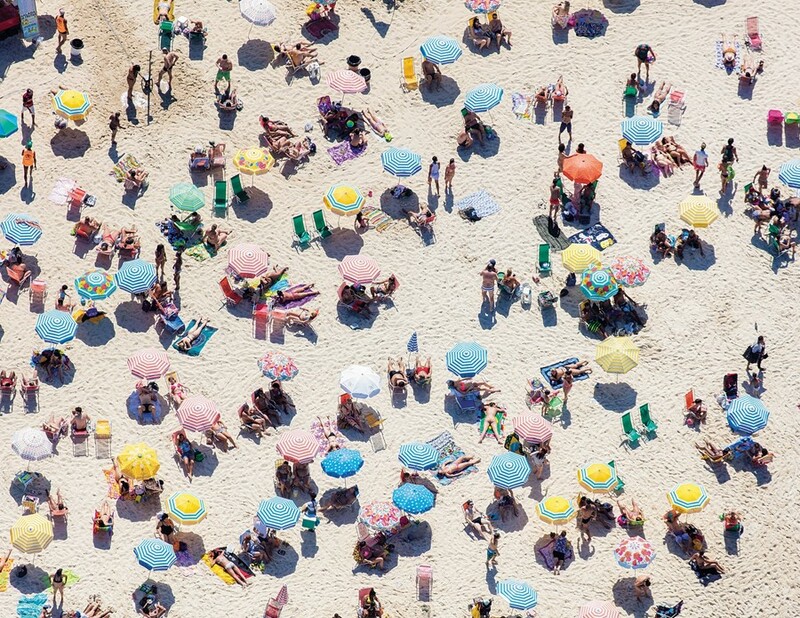 Human beings are curious creatures, and when viewed from above, clustered en masse at the water’s edge to enjoy sun, sand and sea, they quickly become even more so. 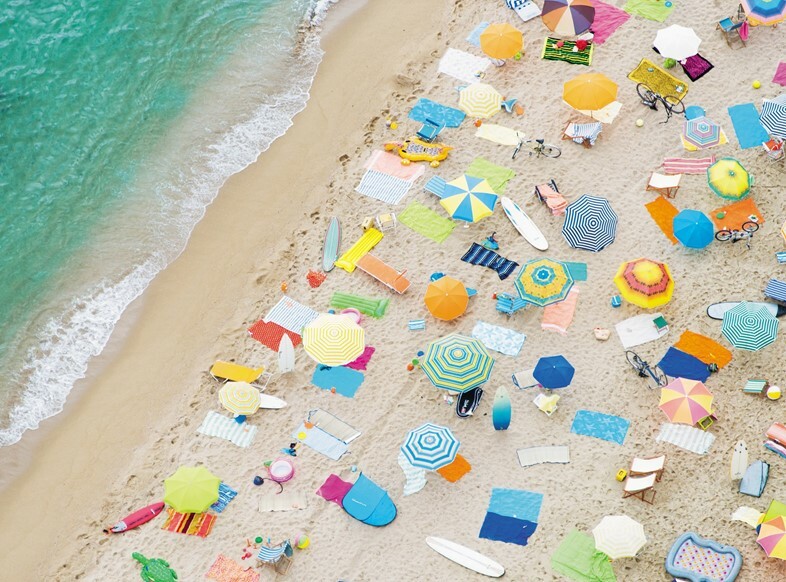 Photographer Gray Malin is, understandably, fascinated by the unexpected insight viewing one’s subjects from on high can reveal. 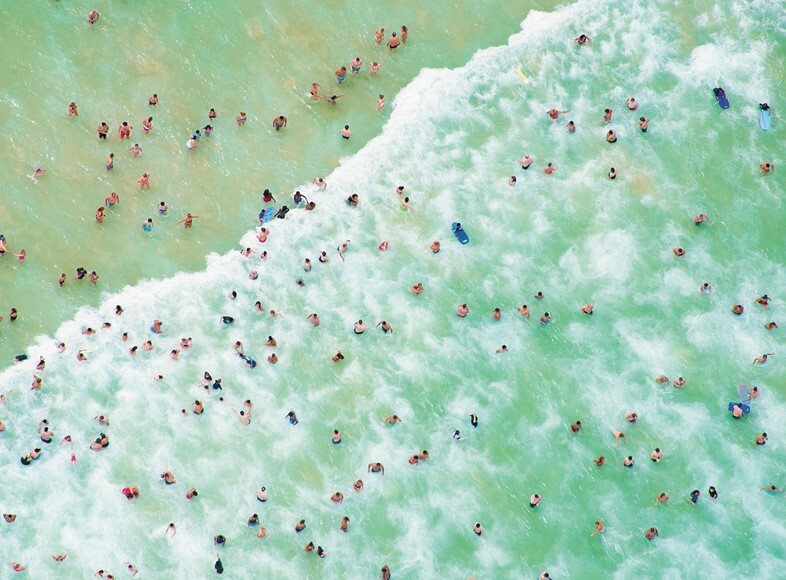 He has devoted years to travelling the world photographing its beach-goers, capturing parasols and sun beds and all who use them, from the bleached sands of Coogee Beach in Australia to the Italian Riviera – and the results of his travels can all be enjoyed in his fantastically optimistic new tome, Beaches. 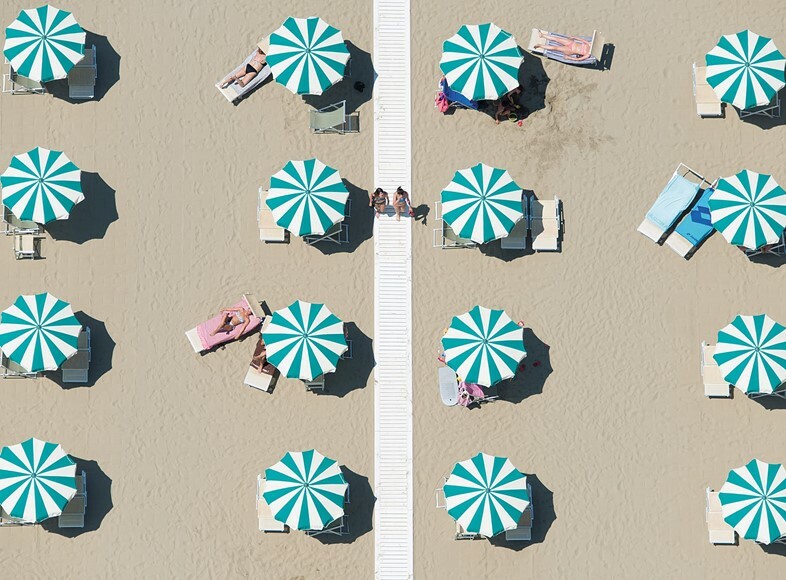 The number of discerning factors identifying one place from the other is surprising: tiny neon umbrellas, discarded surfboards, uniform white sun beds and rocky cutaway stairs descending into tropical turquoise all contribute to the recognition of a place, while closer aerial shots of tiny ant-like people wandering from one towel to another are a stark reminder of our minute roles in the world. 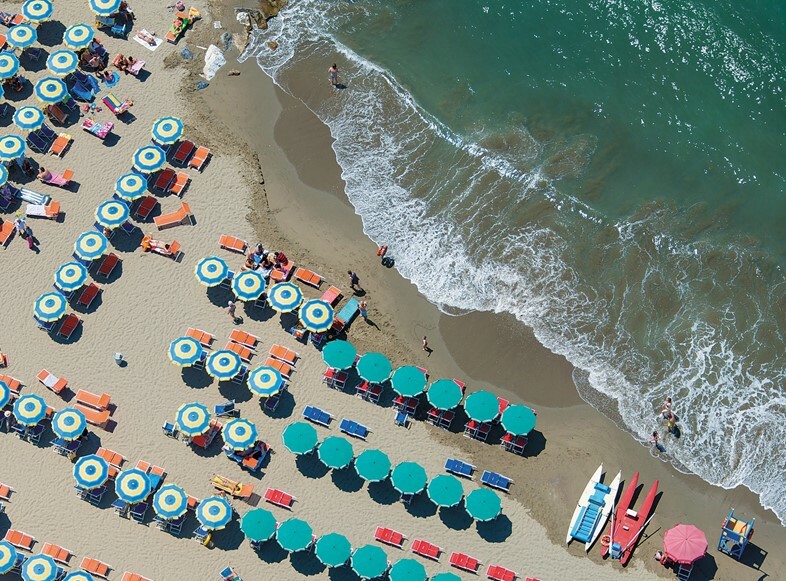 For now, though, better to shun the deeper resonance of our morality, and instead to flock to the nearest water source for a vitamin D top-up and a splash about. 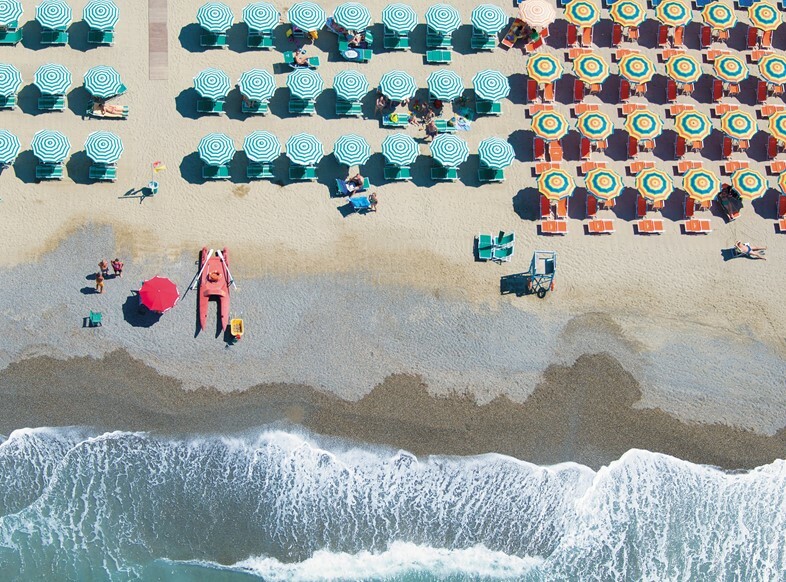 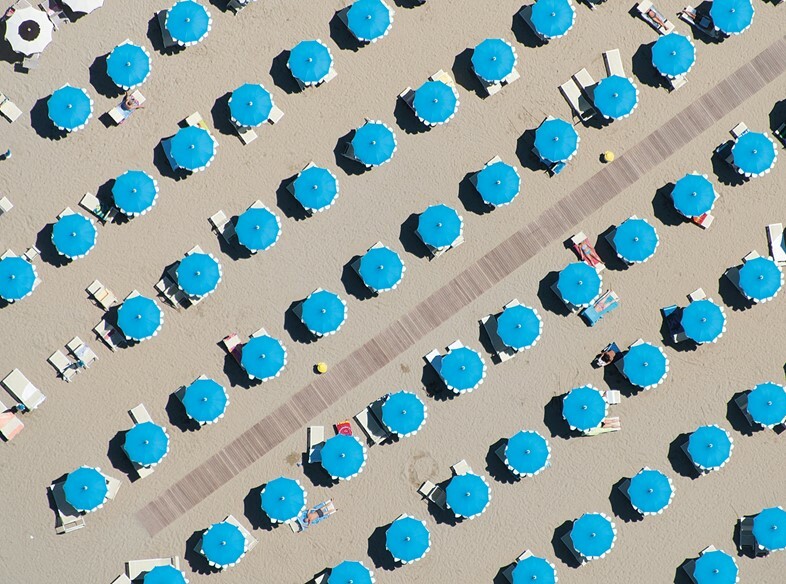 Beaches, by Gray Malin, is out today, published by Abrams & Chronicle.